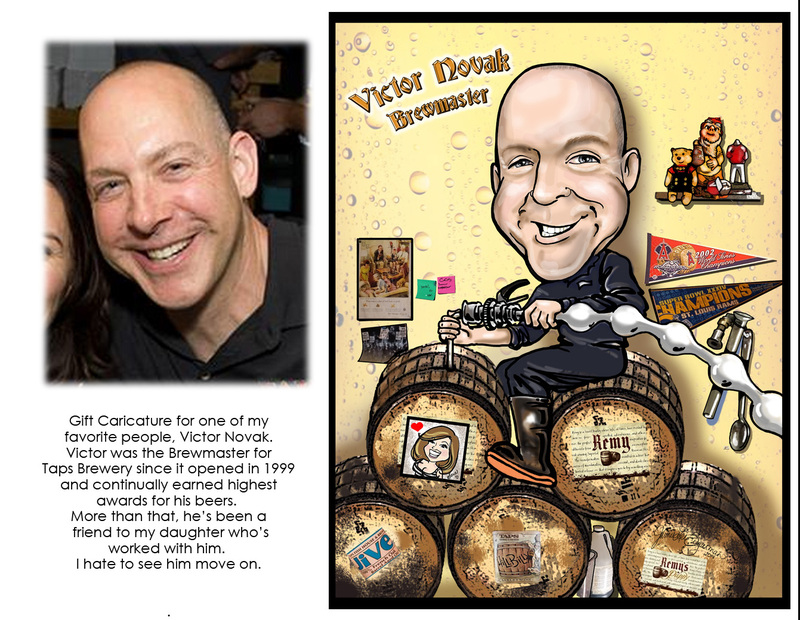 I believe adding personal touches to a caricature is what makes it special. Not just the drawing itself but all of the little chachki that’s meaningful. It took some time and reconnaissance in order to capture these personal effects and after some investigation, I’m certain Victor is going to LOVE this piece of art created especially for him. I can’t wait to hear his reaction!